Repair your broken Android Screens here at Repairtech RX. 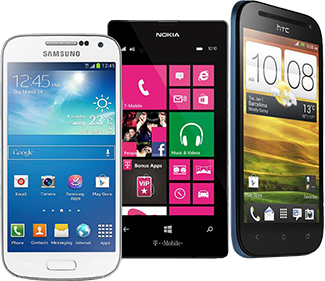 We pride ourselves on the ability to do any Samsung phone or tablet repair in Sudbury provided we can get parts for it. We can do all kinds of repairs for most Samsung & Android phones and tablets such as, fixing your cracked or broken screen, devices that wont charge or devices that have been damaged by water. Visit RepairTechRX located on 1212 Lasalle or call us @ 705-920-0747 for quick, quality screen repairs.The best prices in town guaranteed!! Cracked or broken Samsung phone repair in Sudbury in under 1 hour. OEM parts and factory assembled screens mean we do the repairs without the use of special adhesives and your device is literally good as new once the repair is complete. Device fully repaired within one hour. 30 day warranty on all our repairs. Listed below are some of the common Cracked / Broken Samsung Galaxy and other phone screen repairs that can usually be done in under an hour at our store. Some of the most common issues with Samsung devices apart from broken screens are problems with charging the device, the various control buttons malfunctioning or the battery starting to give out. Whatever the problem may be we can diagnose the problem accurately and have the device repaired quickly and efficiently. Sometimes on different android devices the charge port and other miscellaneous components are soldered on the circuit board, in such instances we can perform soldering repairs on such devices. RepairtechRX is the only store in the city that currently offers this service. Samsung Phone Repair in Sudbury that have trouble charging. Battery replacements available for all Samsung Phones. Water is to phones and other electronics what kryptonite is to superman. 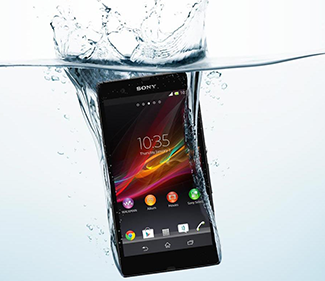 The key to fixing a water damaged device is preventative measures, bringing the device to us ASAP enables us to take steps to get rid of moisture as quickly as possible and also replace and repair any parts as necessary. The key with water damage is to take steps to ensure there is no further damage to the device due to corrosion from moisture. For the best Samsung phone repair in Sudbury contact RepairTechRX.